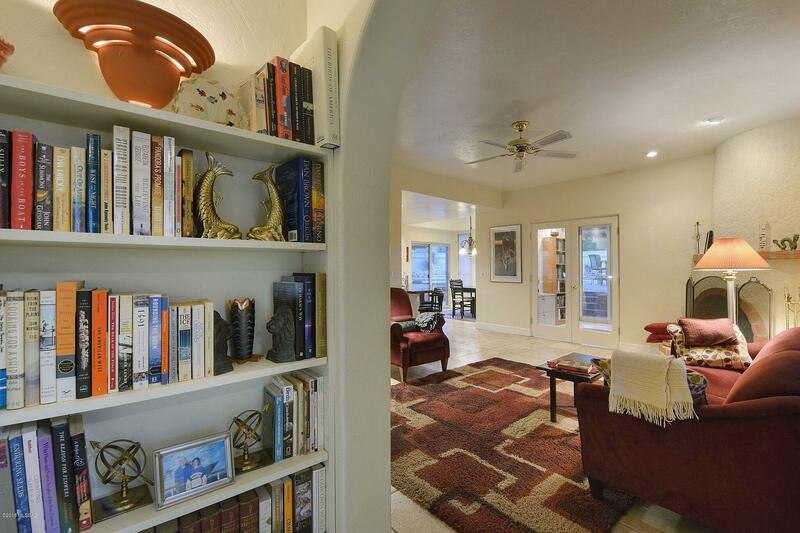 A touch of Tuscany in Tucson! 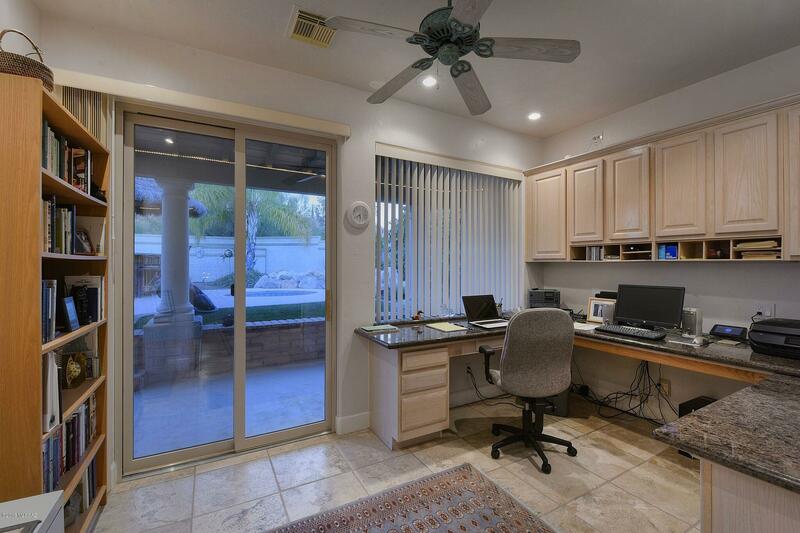 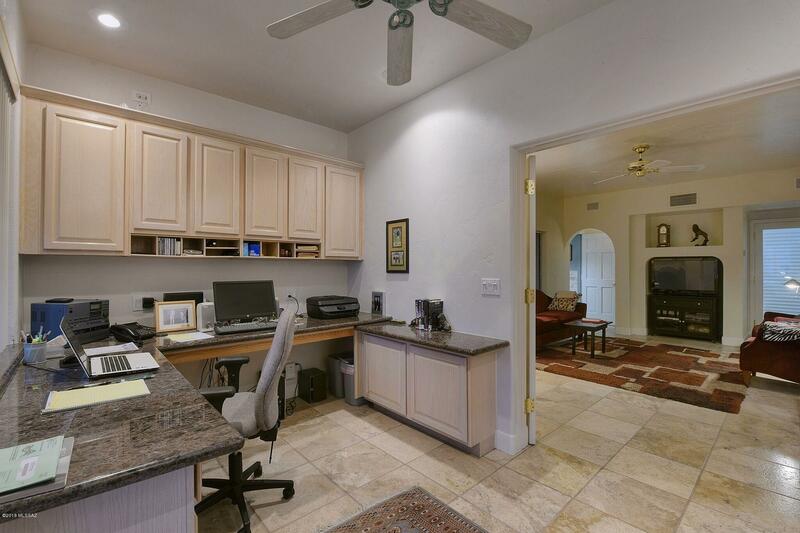 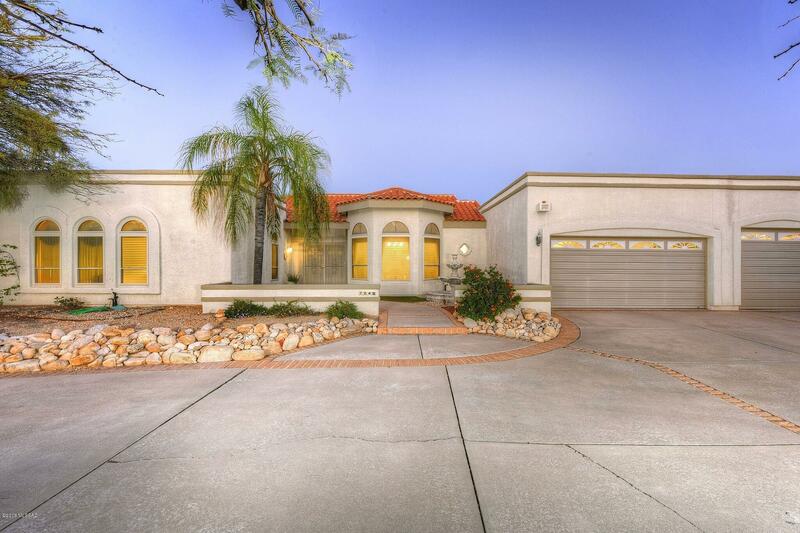 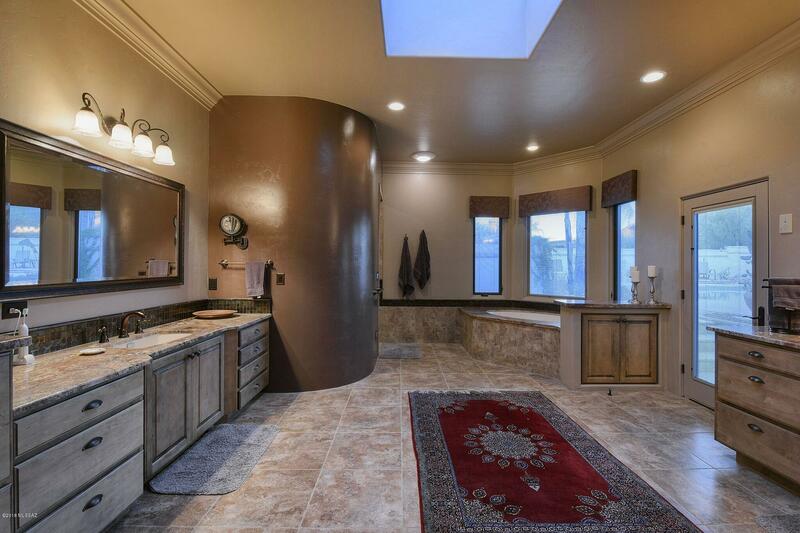 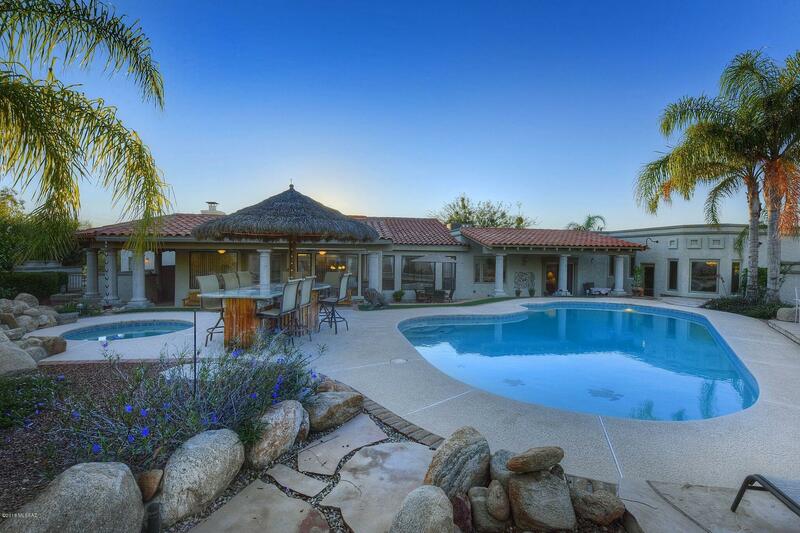 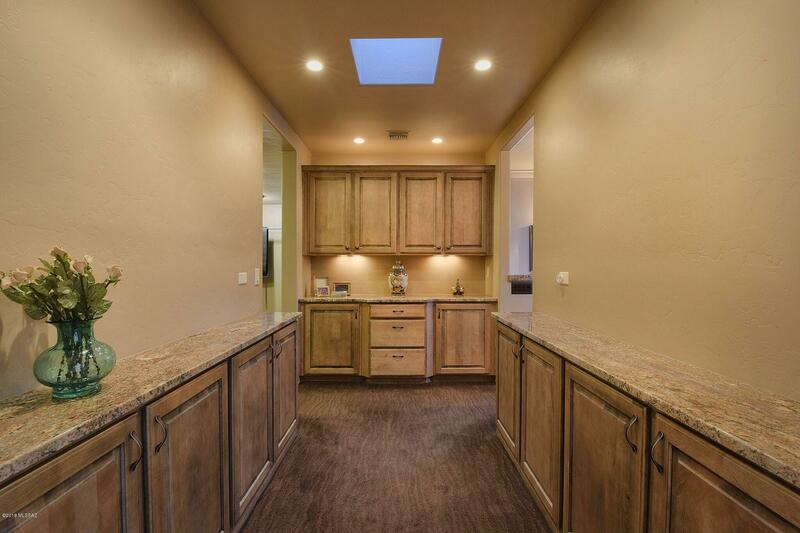 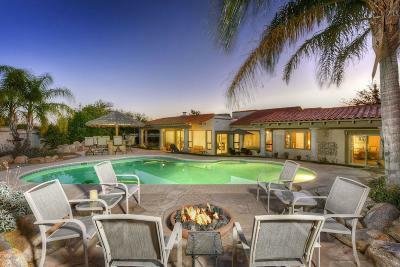 Adorned with travertine and Terra Cotta tile, this Tucson single story ranch style home invites you in through its columned foyer, leading you towards a Mediterranean Oasis back yard. 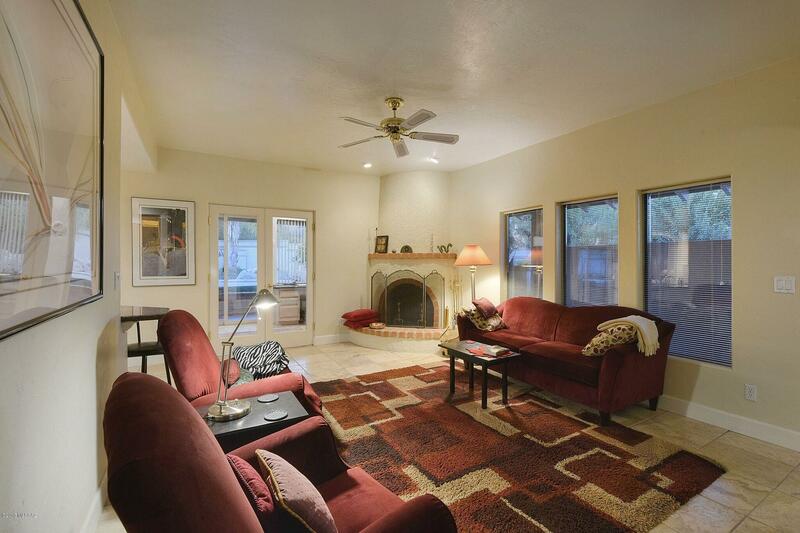 A beehive fireplace makes the family room warm and inviting. 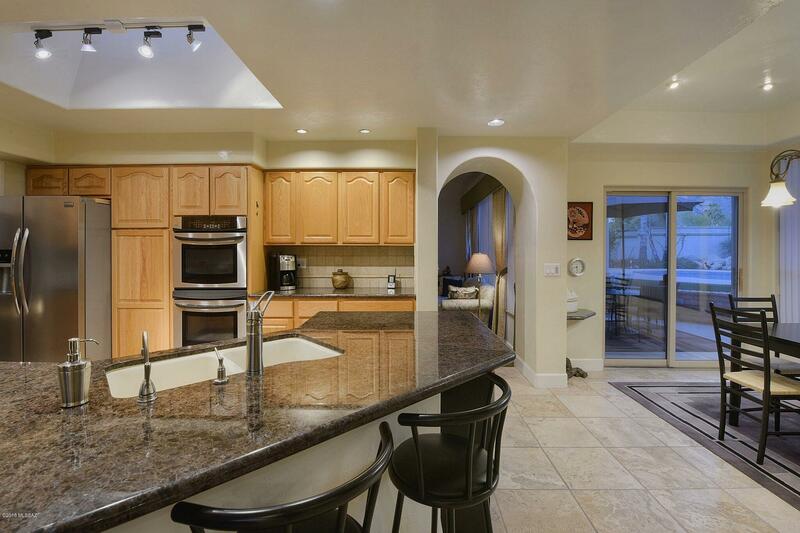 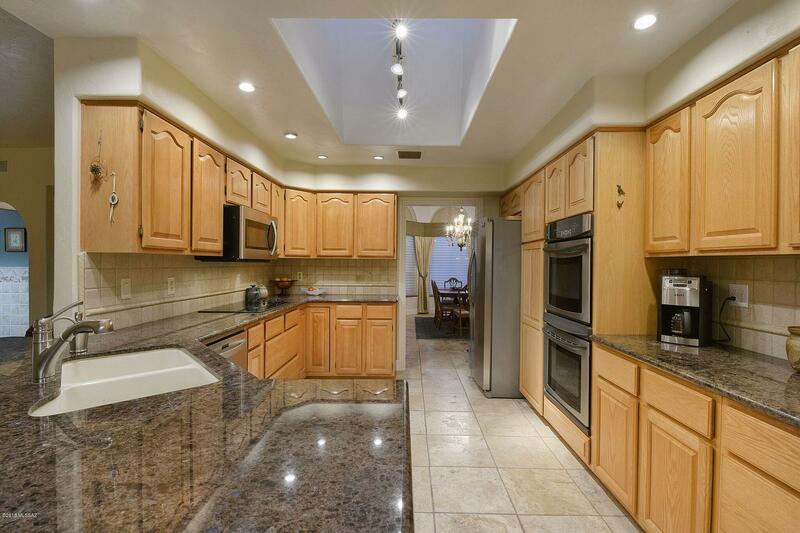 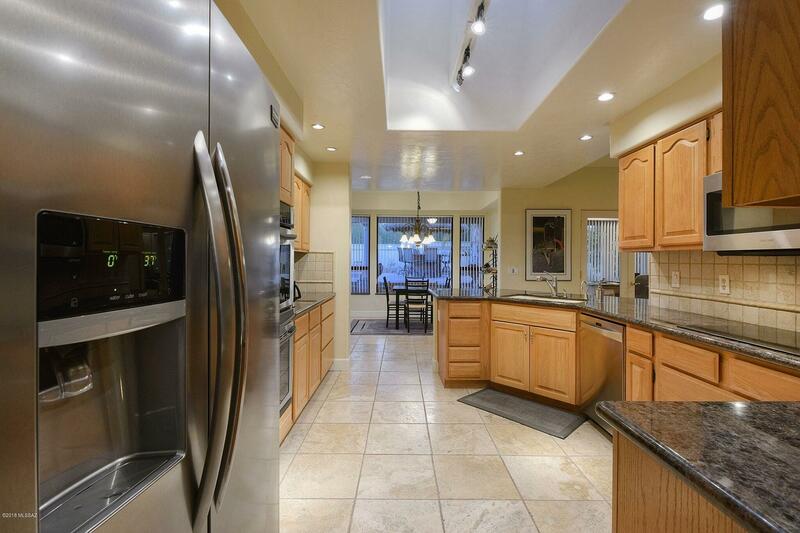 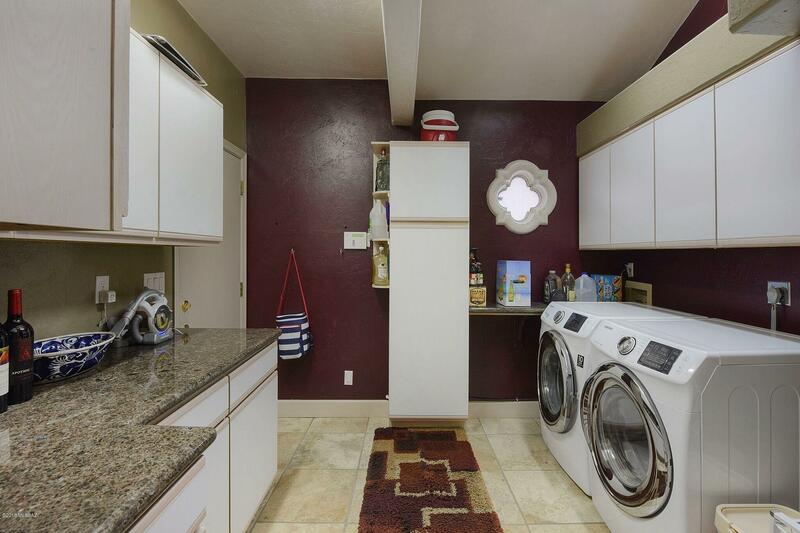 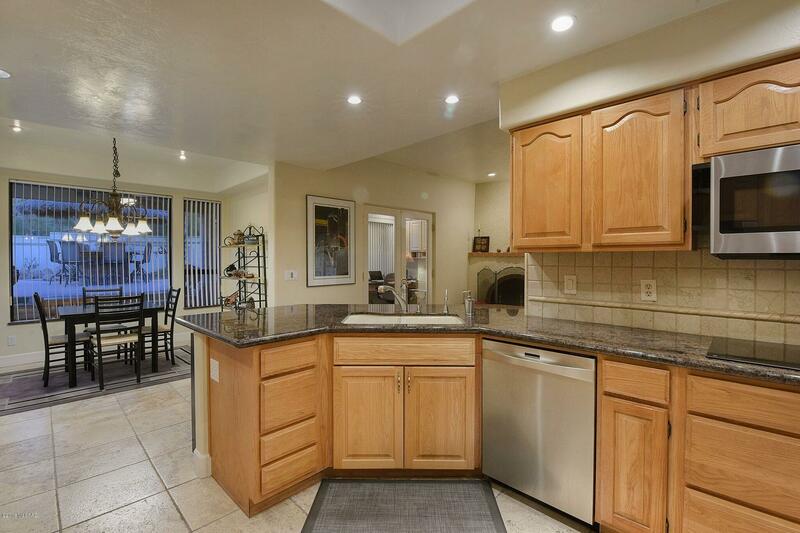 A bright and spacious kitchen boasts a marriage of a double oven, granite counter tops, and travertine back splash. 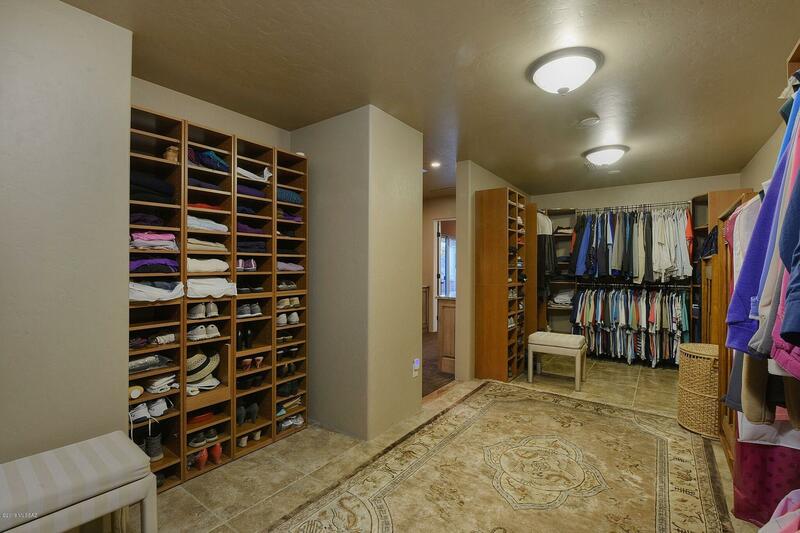 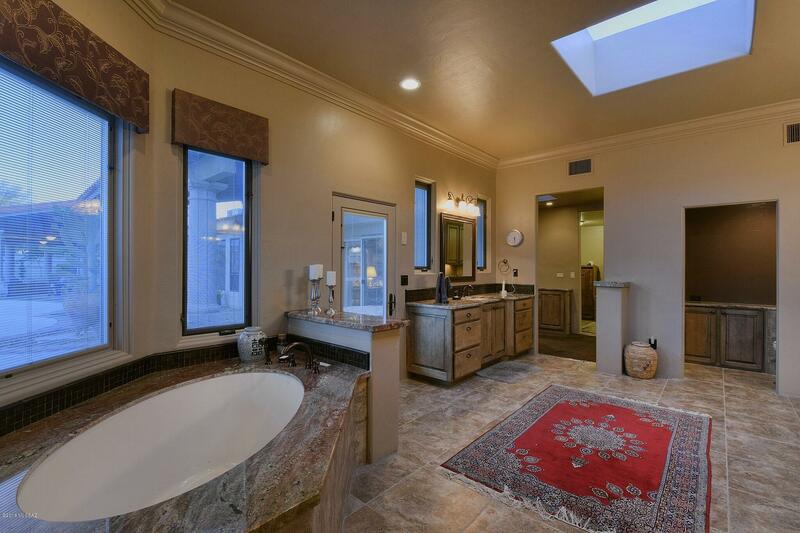 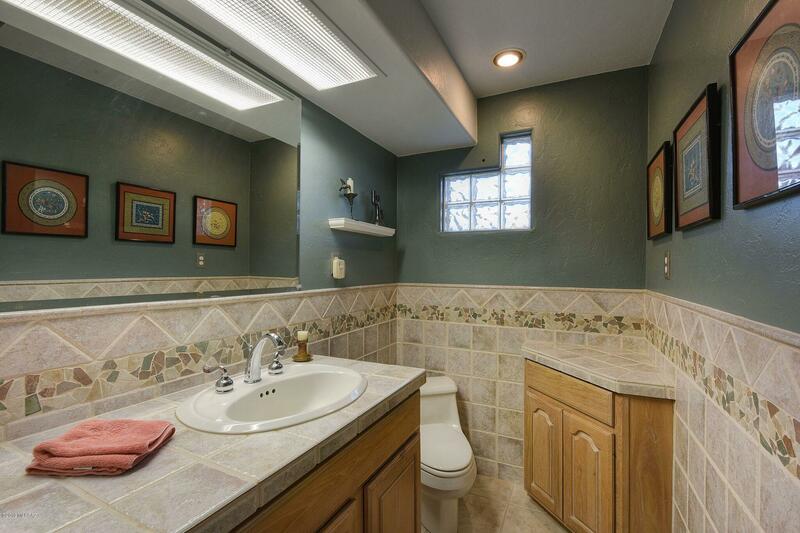 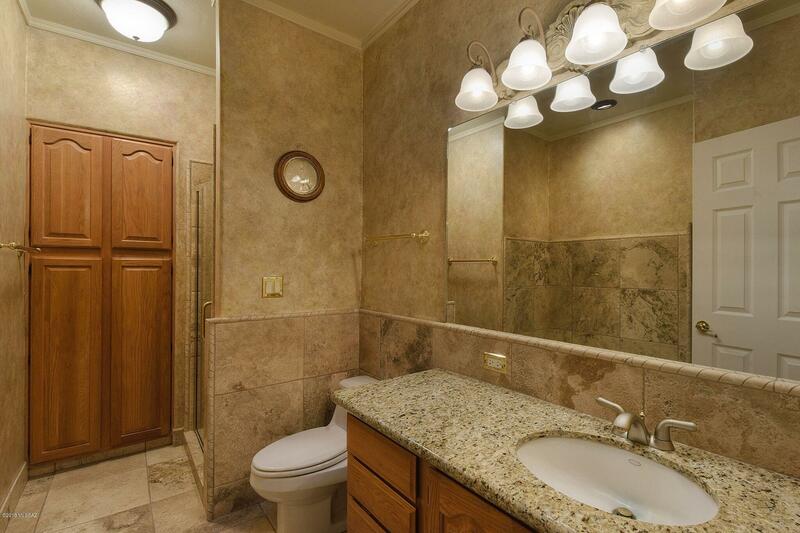 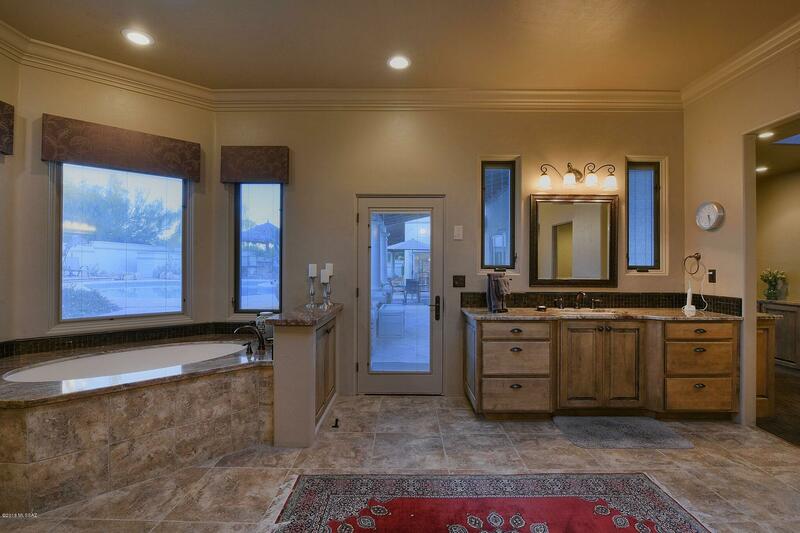 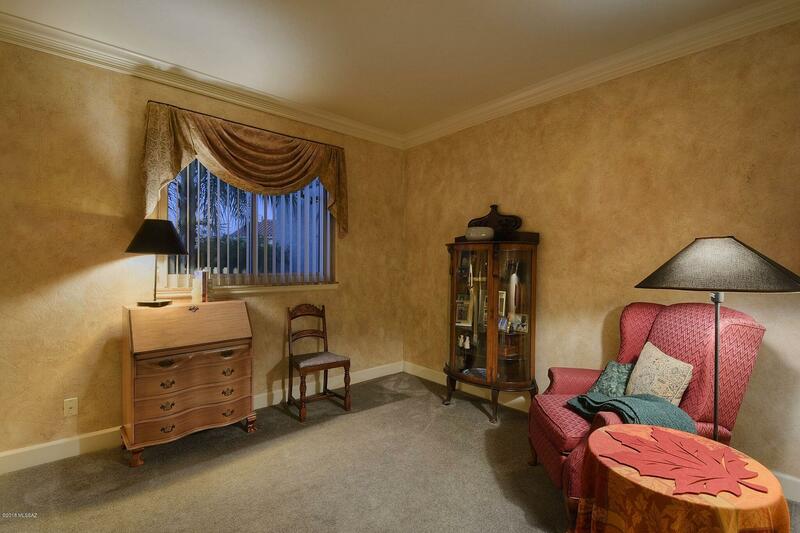 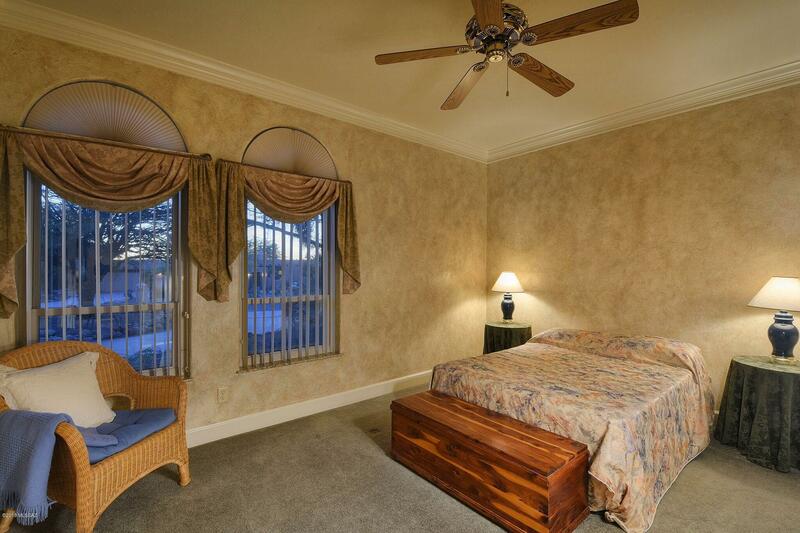 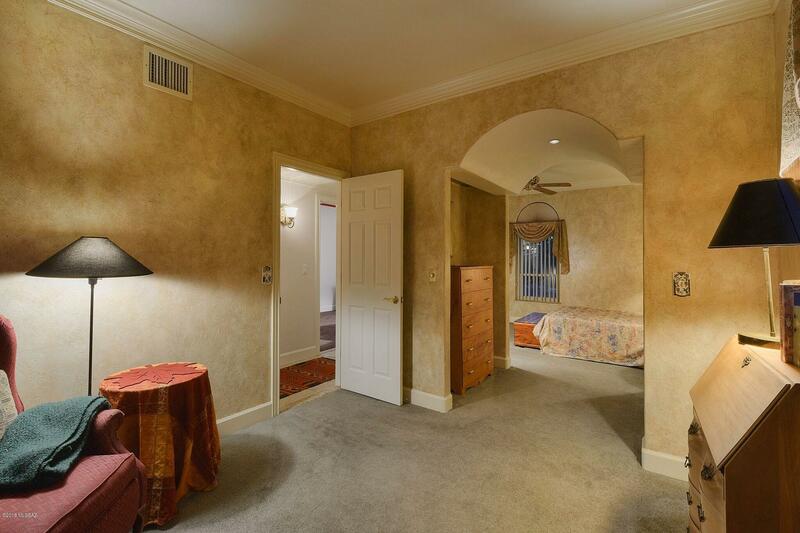 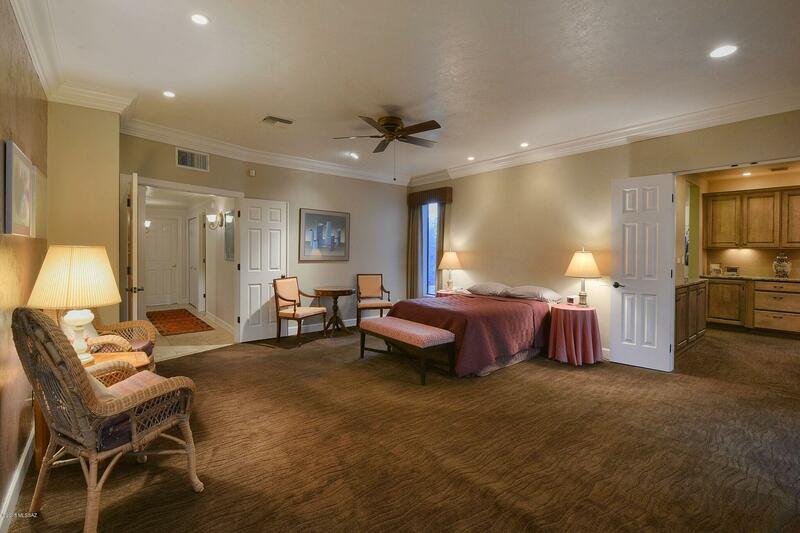 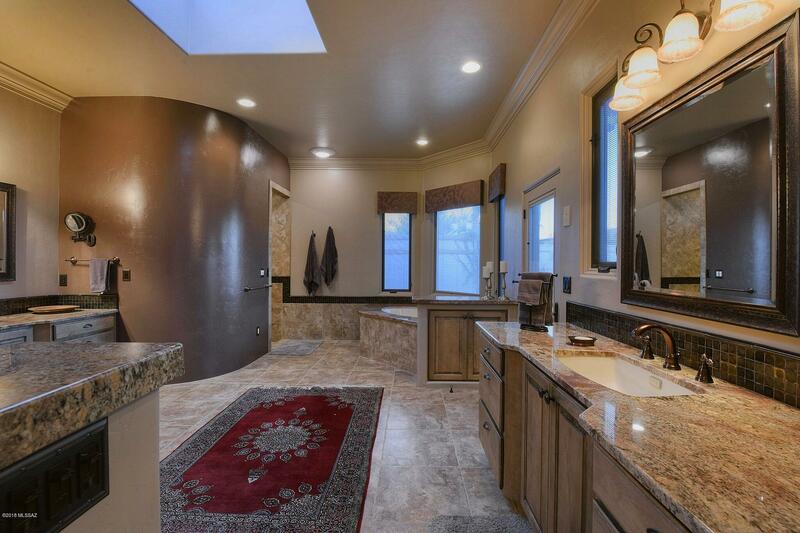 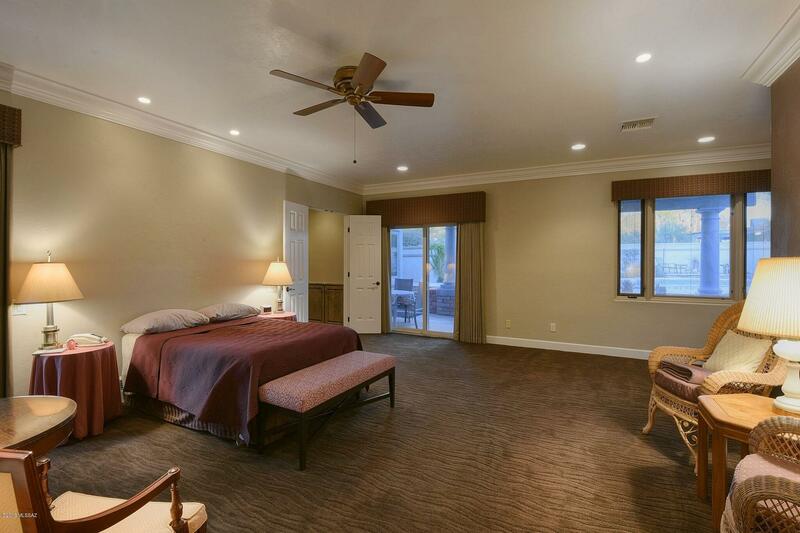 An empowering master suite includes an Emperor sized bathroom and closet. 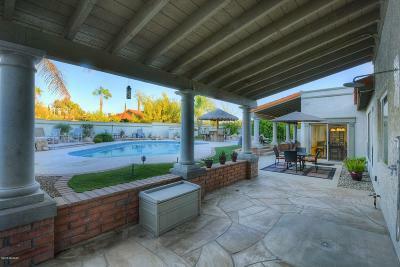 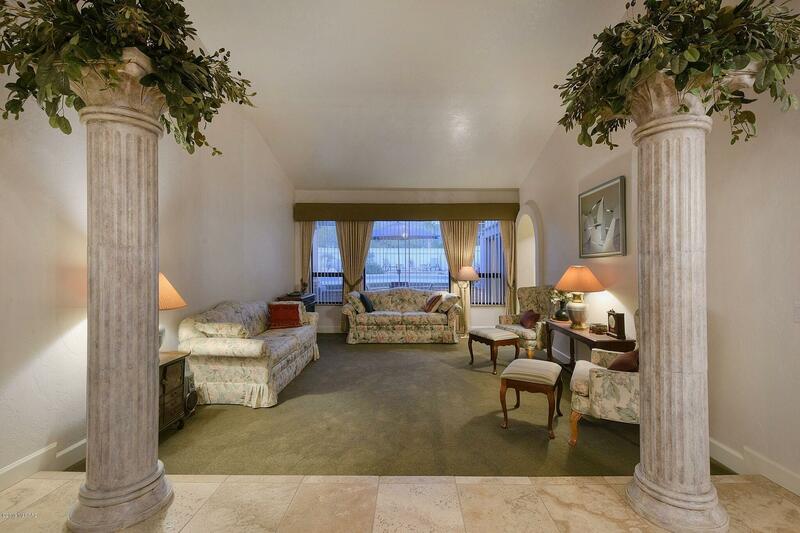 From the columned adorned covered patio, stroll up to the terraced pool and heated spa. After an energizing swim, rinse off under your very own outdoor shower. 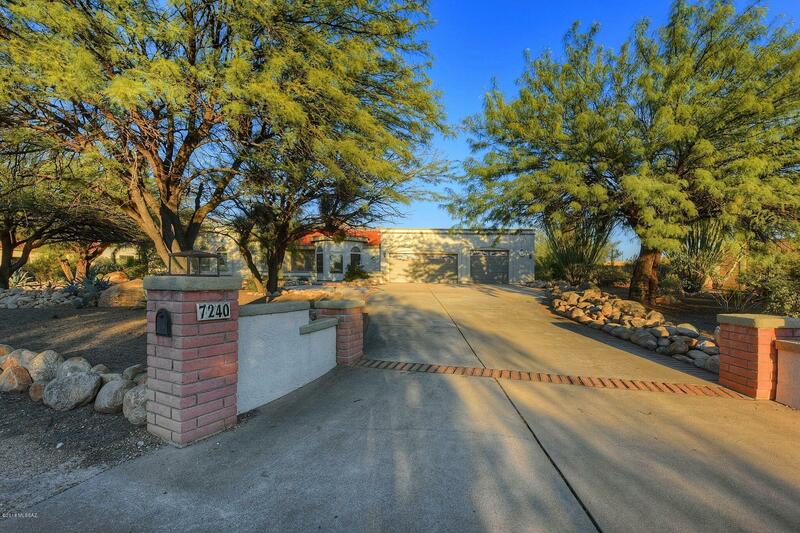 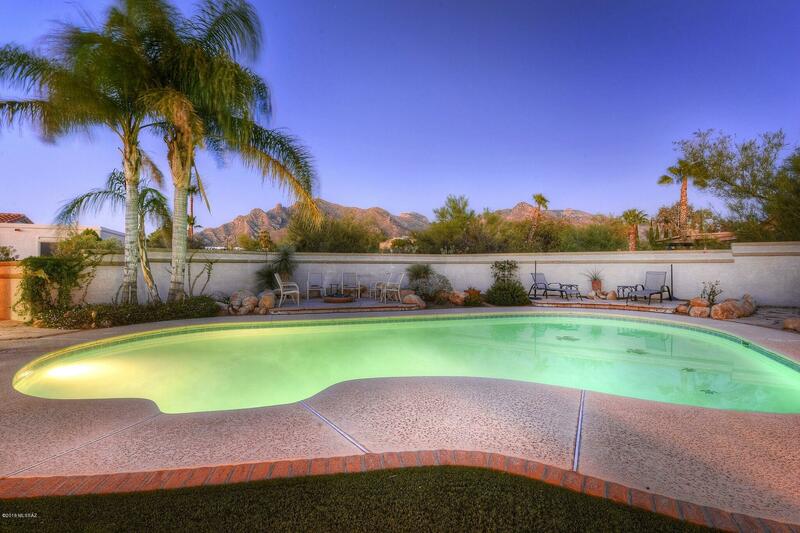 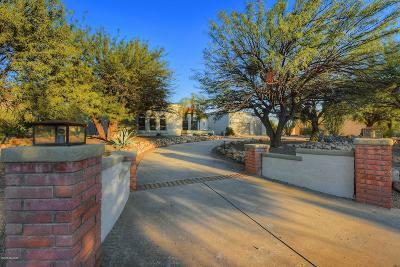 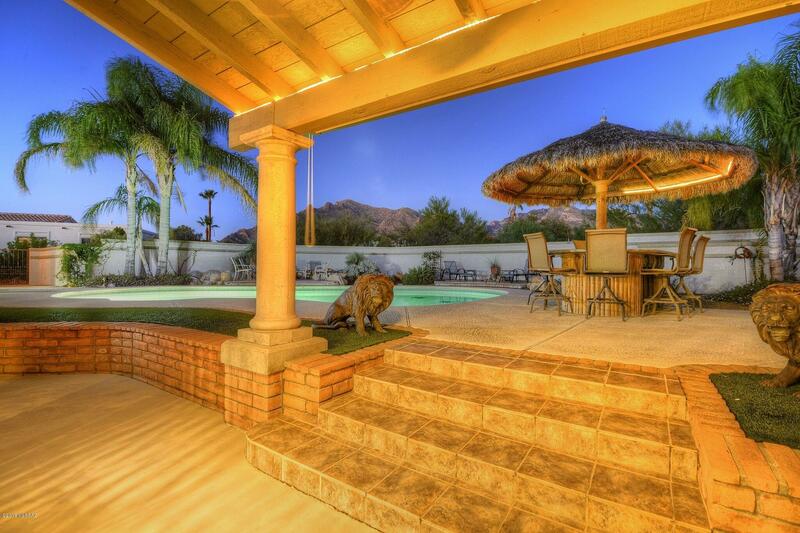 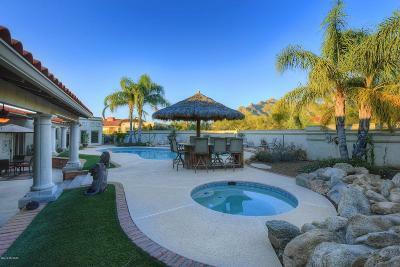 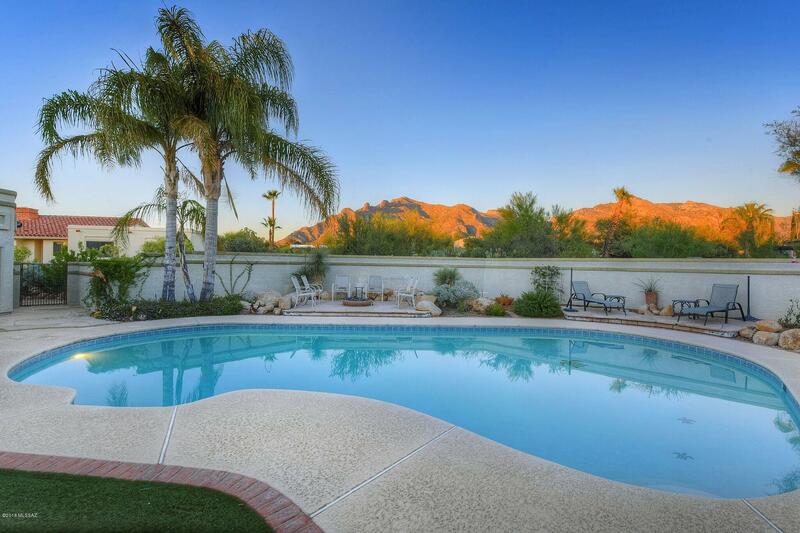 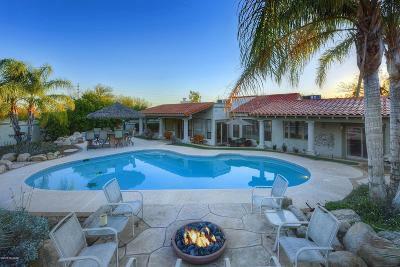 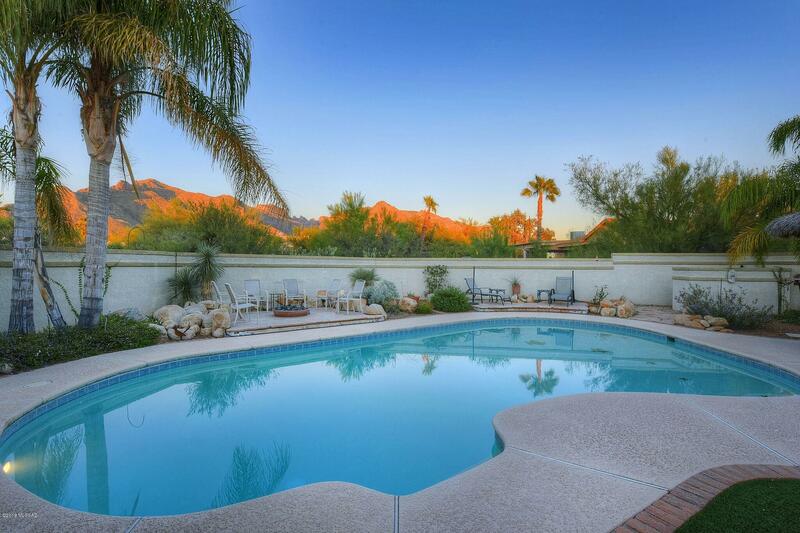 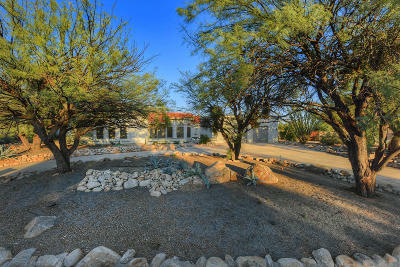 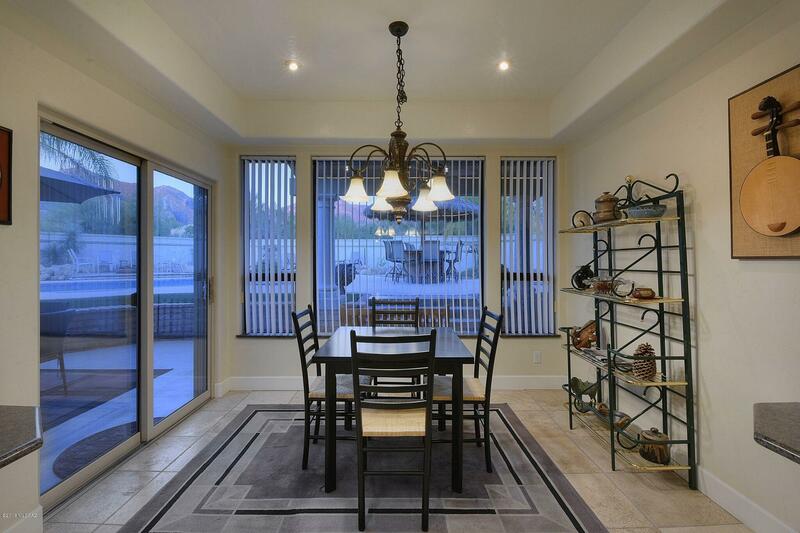 Open a bottle of wine and enjoy the views of Pusch Ridge by the built in gas fire pit. 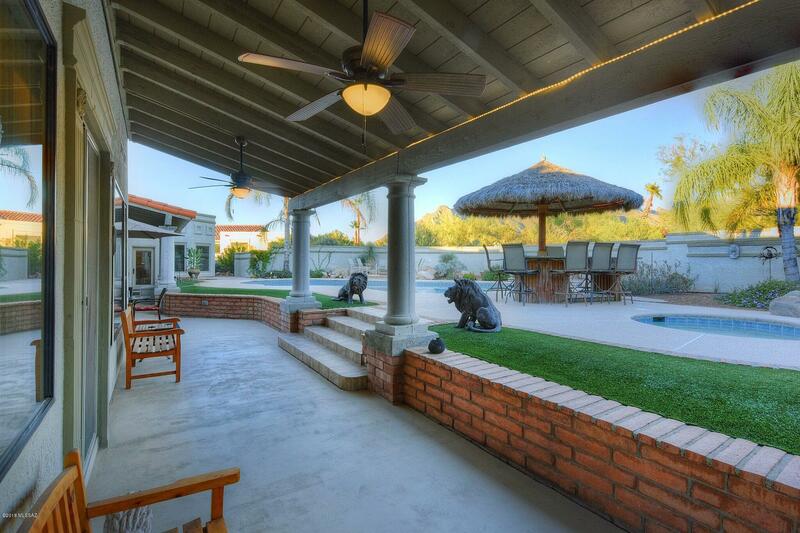 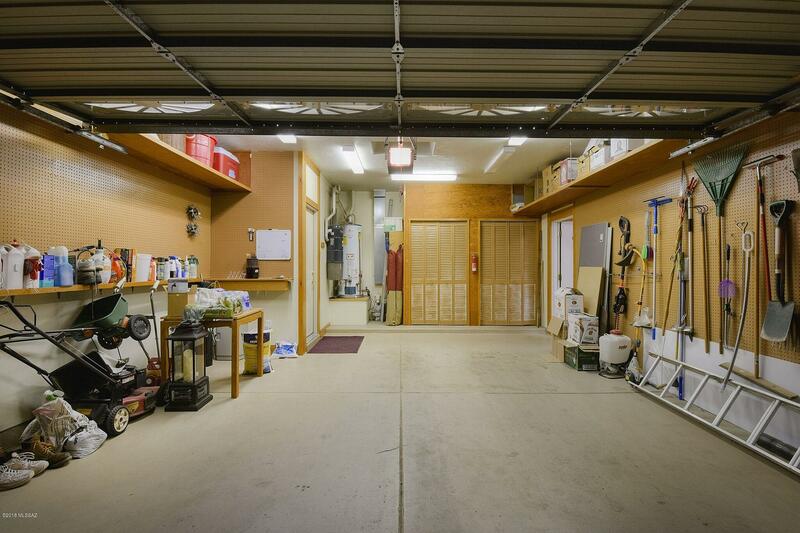 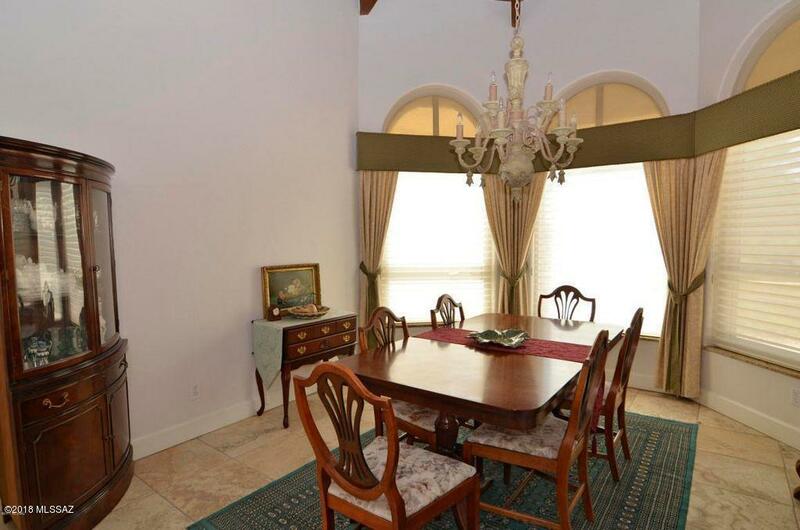 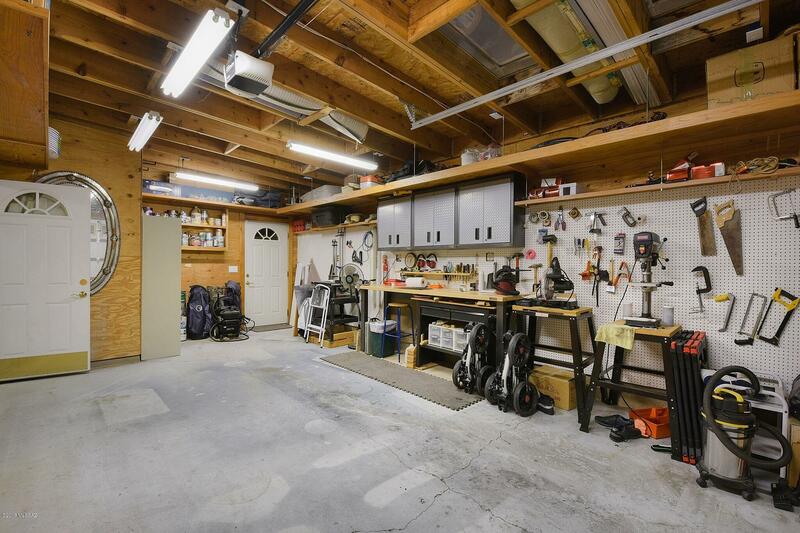 This beautiful home has so much more to offer. 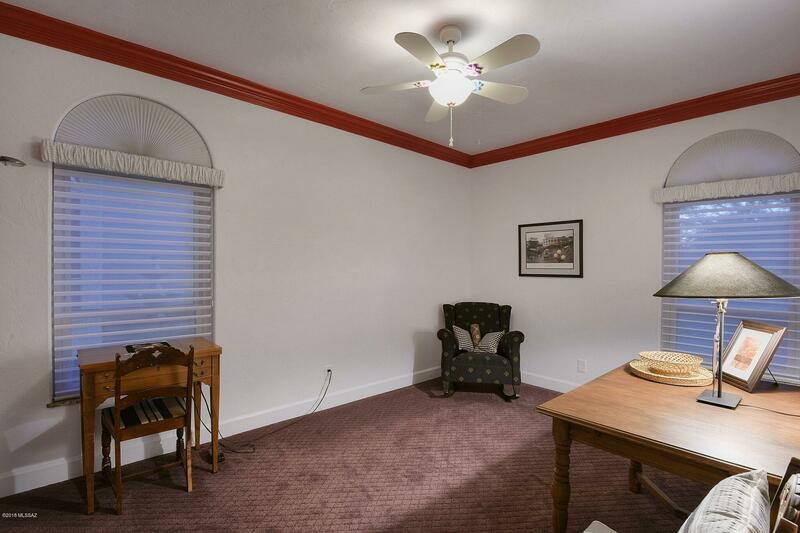 Make your appointment to see it today.